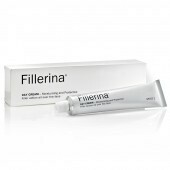 Fillerina Neck and Cleavage is a dermo-cosmetic filler treatment for at-home use that has been formulated in 2 different increasing concentrations of 8 Hyaluronic Acids and 3 molecules of Collagen to be chosen according to the wrinkles and furrows of neck and cleavage and to the skin sagging conditions. The product shall be applied in the evening. Open the gel bottle by removing the metal seal and the rubber cap. By means of the specific olive-shaped tip applicator, draw up and apply 1ml of Gel on the neck and 1ml on the cleavage by releasing it accurately into the wrinkles and furrows. 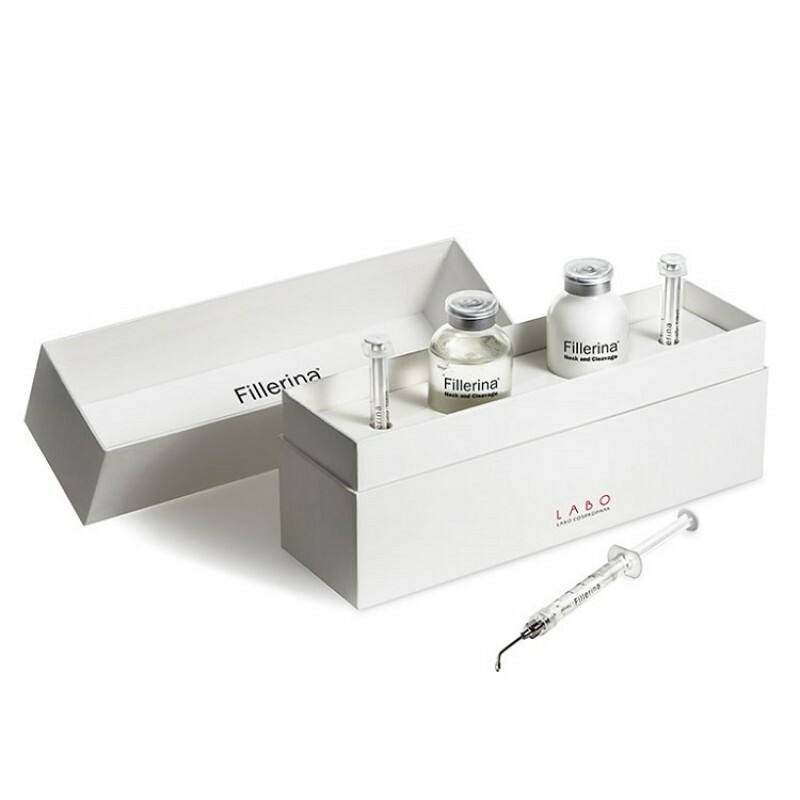 The Gel should be left to work for 10 minutes, to promote the penetration of the 8 Hyaluronic Acids and the 3 Collagens, then, with the palm of the hand, pat gently the remaining product to complete the application without rubbing. 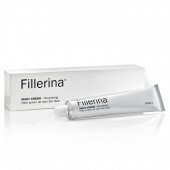 Follow with 2ml of Nourishing Film to be applied on neck and cleavage and massage gently until complete absorption. Repeat the application every evening for 14 days.